Poet Akiko Yosano, who has ties to Yosano Town, composed this tanka poem in May 1930 when she visited Tango. 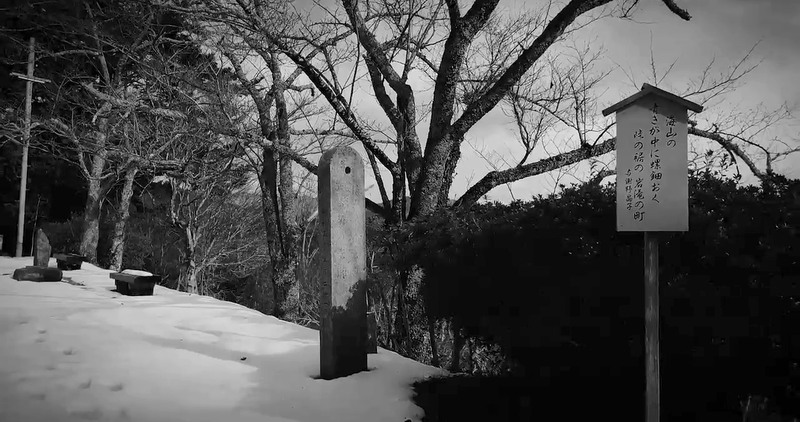 The poetry monument that was in Ichijikan Park is still there. During twilight when both the ocean and mountains turn blue, we can see views of Iwataki Town from Ouchi Pass. The dinner light leaking from the windows of homes looks like sparkling shell inlay. When there is snow, walking through Ichijikan Park is quite difficult. However, because it is cold, the light from the homes looks even more warm and lovely. It makes dinner with family or friends even more inviting.